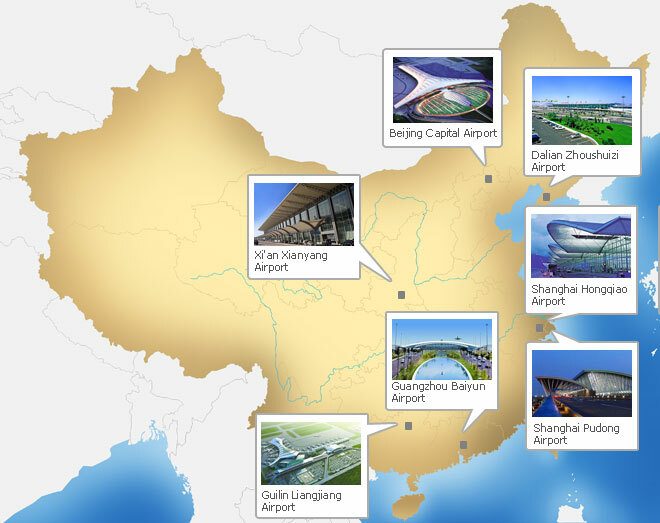 China Highlights provides information on 19 China airports, those most used by our customers. You can find up-to-date airport bus timetables, and transportation maps of airports terminals in Beijing, Shanghai, Guangzhou and Shenzhen. You can also print out taxi directions in Chinese and English to help you get to the airports. China’s major airports are shown on the map below. Click the photos on the map to get more information.